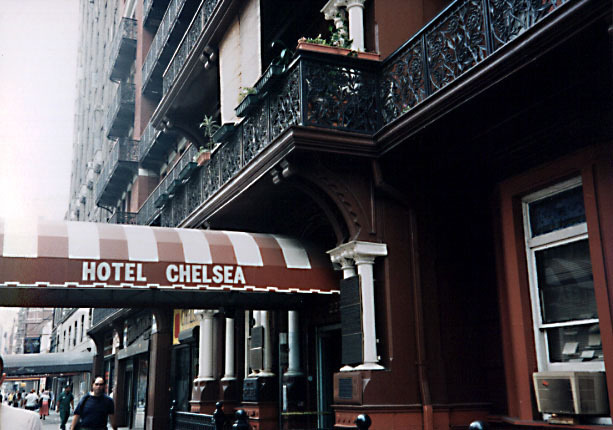 The Chelsea Hotel is in New York City, in the Chelsea section of Manhattan, on 23rd Street, between 7th and 8th Avenues. Recommend staying there. 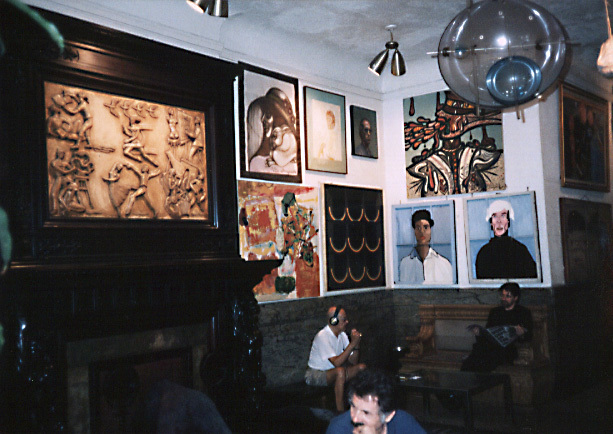 It's clean and has a lobby full of bizarre Village-y paintings and sculptures, and it costs about a hundred bucks, a lot less than the average clean hotel in New York City. The rooms are well-kept and the service is good too. Bob Dylan: Not Like a Rolling Stone Interview. Spin, Volume One Number Eight. was taken from another Web site. relationship. If I did have one, I think I'd remember. "Chelsea Hotel" is the best track on the new Dan Bern album, hands down. You can hear a long snippet of it here. Dylan got married there, Viva gave birth there and Nancy died there.